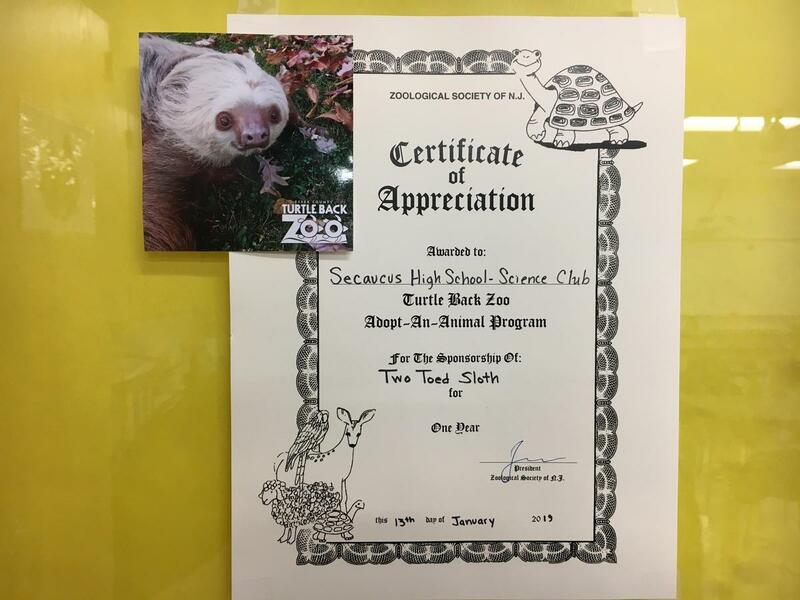 The Science Club, advised by Denise Edmunds, has adopted a sloth at the Turtle Back Zoo. 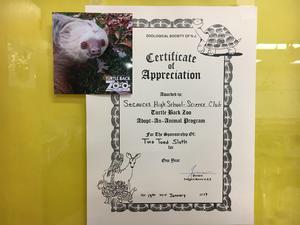 The students chose to use some of the monies earned by selling Insomnia Cookies to adopt Einstein, the Turtle Back Zoo Sloth. The $100 adoption fee helps defray the cost of feeding Einstein. It also helps pay for some of Einstein's veterinary costs. The club has received "adoption papers" and a picture of Einstein. The club hopes to continue adopting an animal each year!